Okay - summer vacation is OVER. It's election time, folks. 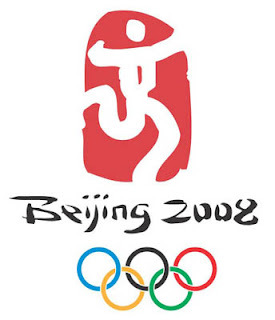 So let me post my first Olympics 2008 entry with a short list of things NOT to do if your happen to be attending the festivities in Beijing. diseases is banned. Smoking is not allowed at Olympic venues. 4. Foreigners "must respect Chinese laws while in China and must not harm China's national security or damage social order." Okay - you got that?! Now behave yourselves -- it's not the Greek Games of some of our collegiate pasts... and as far as I am aware, there's no "Keg-Roll" either.